Miami, Fla. — Today at the launch of the Miami International Boat Show, Mercury Marine, the world leader in marine propulsion, introduced a new suite of technological solutions for controlling five- and six-engine arrays of outboard boat engines. The announcement further reinforces Mercury’s leadership position in making boat operation more intuitive and enjoyable. With a growing segment of the recreational boating market shifting toward larger vessels powered by multiple large-horsepower outboards, Mercury is leading the way in providing not only high‑performance and durable engines but also state-of-the-art solutions to enhance boaters’ experiences. 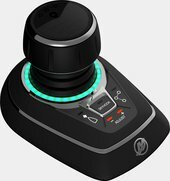 Mercury’s Joystick Piloting for Outboards technology. 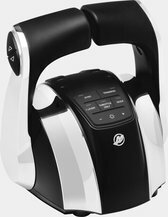 Throttle Only Mode to either warm up the engines or increase alternator output for charging batteries. Fully integrated autopilot, or "Route" feature, which allows the boater to navigate to an active waypoint or follow an active route. Active Trim, which automatically trims all the engines to their optimal trim angle based on speed. 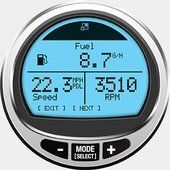 Many of these features require the use of a seven-inch or larger screen on Mercury’s VesselView user interface, which displays data on all five or six engines on one screen.